ATM ATILIM TEKNİK METAL GERİ DÖN. DÖK. MAK. İML. İTH. SAV. SAN.TİC.LTD.ŞTİ. ATM ATILIM TEKNİK MAKİNE was established in 1999 and has established R&D department in machine manufacturing and directed manufacturing with design works. Specialized about of casting and recycling machines and facilities. Our company, which continuously develops quality with the demands of the market, fully knows the production problems of the casting and recycling sectors and offers rational solutions. In this direction, our company is in an effort to constantly improve its designs. 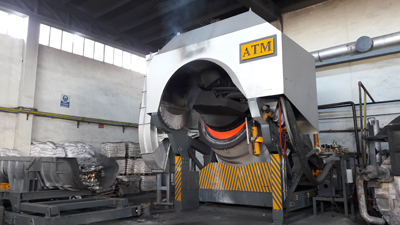 Our products such as tilting rotary furnace, reverber holding & melting furnace, melting furnace with crucible, other melting furnaces and ingot casting machines combine advanced melting and casting technology, process control and quality engineering. 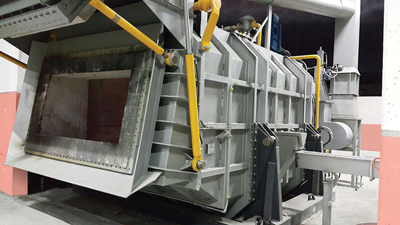 Our furnaces have the most effective melting furnace technology used in the recycling industry. Our superior quality understanding was registered with ISO 9001 certificate in 2006. Our company went one step further with the brand and product patents it received.Our company also exports to many company.